Speculation is as much a part of football analysis as the actual X’s and O’s of playing the game. Looking ahead to rivalry games, conference championships, and the College Football Playoff remind us that in college football, anything is possible. That’s within reason of course; Baylor isn’t going to lose to Kansas, the Sun Belt isn’t going to have a better conference than the SEC. But what-if statements that are long-shots are discussed because they have a chance to come true. Last year Ohio State was ranked 16th in the first rankings from the Selection Committee. You can’t write off any team or any outcome in college football. Which is why we speculate. What if the BIG 12 misses the playoffs again? November is going to a whirlwind of a month. Baylor, TCU, Oklahoma, and Oklahoma State all play each other starting on the 7th and anyone can beat anyone. The conference will obviously not end up with three undefeateds, but what if it has two one loss teams again? What if Oklahoma wins out and Baylor’s only loss comes at the hands of the Sooners? The lack of a conference championship works against the BIG-12 because the selection committee is left picking the best team on their own. Oklahoma has an ugly loss to Texas, but if they win out would the committee overlook it for a playoff spot? Could it rank Baylor or TCU higher if their loss comes to the Sooners? The top of the conference could end with three teams at the top that all beat each other, another pair of co-champions (see 2012 and 2014), and another miss at the playoffs. What if the SEC misses the playoffs? The SEC will be the first conference to make us question what to do with an undefeated team that losses in their conference championship. Let’s say that LSU wins the West without a loss. And less say that the Gators win the East but loss again on the way (perhaps to FSU?). We’re looking at an LSU team ranked in the top four without a doubt. And what if they lose to Florida in the conference championship as their only loss. Are they more deserving of a coveted playoff spot than their conference champion? Is a two-loss conference champion more deserving than, let’s say an undefeated Ohio State, Baylor, Clemson, and perhaps one-loss Notre Dame or Stanford? That could be a tough sell. 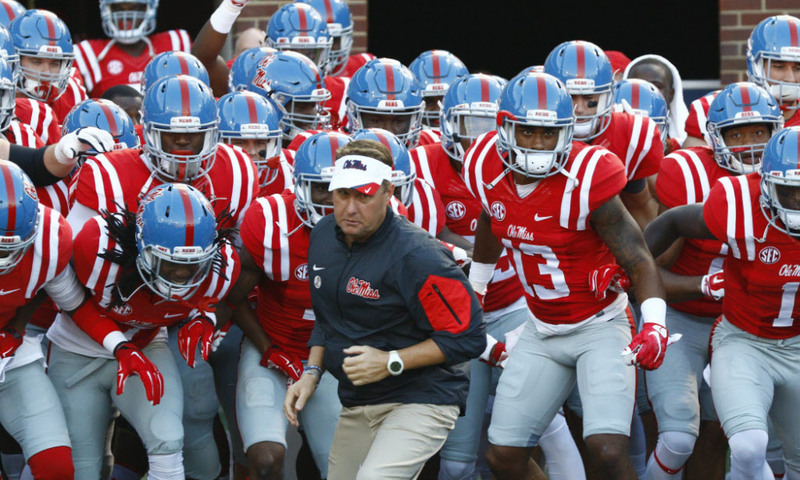 What if Ole Miss wins the SEC? This question is only worth our attention if Memphis goes undefeated. If Ole Miss wins their division (LSU beats Alabama, Ole Miss beats LSU and wins out), then beats Florida in the championship, they’ll be looking like the team we thought they were back in Week 3. And Memphis would have a meaningful win over them. So Memphis be worthy of a playoff spot? It would certainly be a needed conversation. And what if Temple beats Notre Dame and Memphis beats Temple? Surely they would have a few marquee wins on their resume and be worthy of consideration. What if they finish the season as the only undefeated team with a win over the SEC champion? What if Notre Dame doesn’t lose again? If Clemson goes undefeated (as the ESPN FPI predicts they will), then Notre Dame’s only loss would be against the potential number one or two team in the country. Will they be able to make the playoffs over the five conference champions? The answer could become even murkier if Stanford wins the PAC-12. The selection committee would have to find two conferences to be out of the playoff in this situation, and you can bet that two conference champions would have a comment or two in response. What if Iowa wins the B1G? Iowa has two wins against ranked opponents, and neither team (Wisconsin and Northwestern) are currently in the top 25. 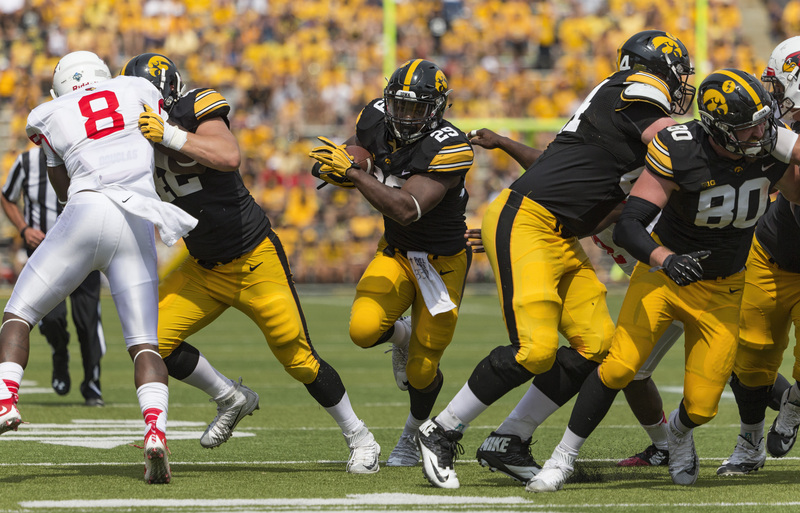 Entering the season, Iowa had the ranked 63rd in terms of strength of schedule. Entering Week 9, the Hawkeyes are ranked 64th. Winning the B1G against highly ranked Michigan State or 2014 Champion Ohio State would be huge and winning the conference would be impressive. Even more so if they go undefeated. But is a team that had an easy road to that mark better than teams like Alabama, LSU, or Florida? Sure, Alabama already has a loss. But they entered the season number 1 at strength of schedule and LSU has the hardest schedule remaining and if both teams keep playing like they have been, then they will finish the season almost unblemished. What if LSU loses to Alabama but Alabama wins the SEC? Do we really believe that Iowa is a better team than LSU in that situation? Is Iowa’s one major win better than LSU’s one loss? Next Article » The Last Gunslinger: Is Dan Henderson MMA’s Pound for Pound G.O.A.T ?